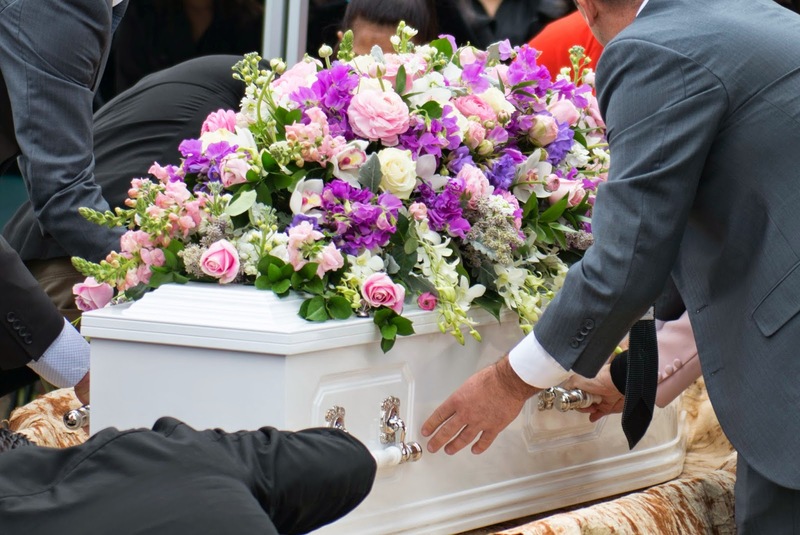 When a loved one passes away, organising the funeral or memorial service is often something that a family must focus on promptly. One important part of this process is choosing funeral flowers which honour the deceased in a personal and dignified way. We have been impressed and deeply touched by the thoughtful ideas and tributes families have requested from us in the way of their funeral flowers. 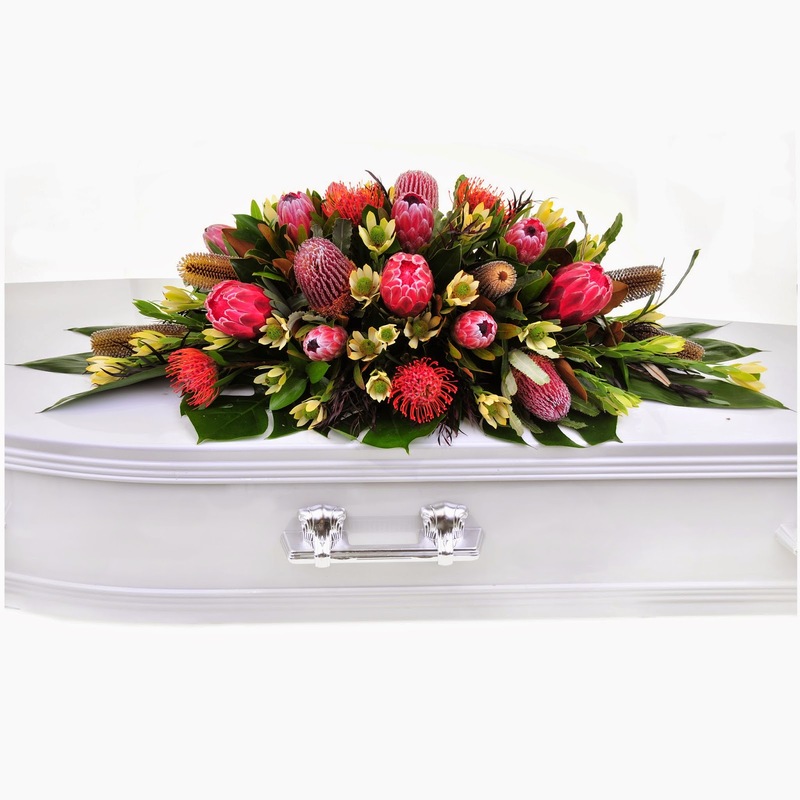 Most people first turn their attention to deciding on a theme or colour choice for the casket cover, the floral arrangement which will sit atop the casket for duration of the funeral service. Often, specific flowers are requested which we are happy to accommodate. Some people email us a photo of something they've seen online to give us more of an idea of what they have in mind. For our Aunty Rosie's funeral we wanted myriads of delicate roses cascading for her. Roses for Rosie, and they were so beautiful. 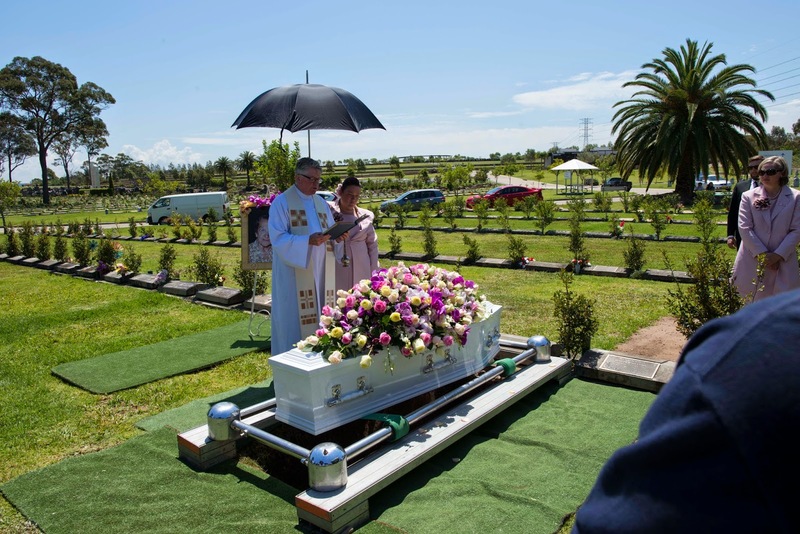 Aunty Pat arranged the casket cover with such care. For the church service held at the Catholic Church on Greenwich Road, we created beautiful pastel rose arrangements in ceramic pots to be displayed on both sides. Afterwards, they were gifted to the parish as a tribute to Rosie to be displayed on the Sabbath day. 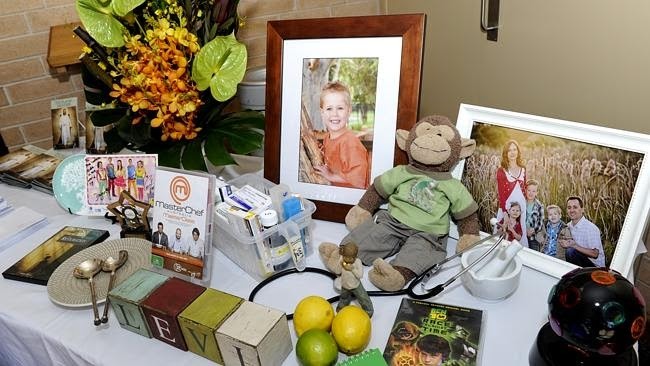 The family of this young man wanted floral designs which represented their son's love of fine food and food design, the way dishes are 'plated up' to look appealing, like works of art. They requested exotic flowers with a structured art-like design. We created his casket cover with attention to balance and detail, reflecting his great interest in food and design. We included orange vanda orchids, anthuriums, black bamboo, dancing lady orchids, leucadendron, and cordyline leaves for a dramatic display. Often families will also request floral arrangements for the chapel or memorial place. For this young man's funeral we designed the arrangements into ceramic pots following the same theme and colour choices of the casket cover. We can also provide additional arrangements or bouquets if these are required for a 'memory display', for the chapel foyer area, or to adorn the food table at the wake. These arrangements are usually smaller in size. 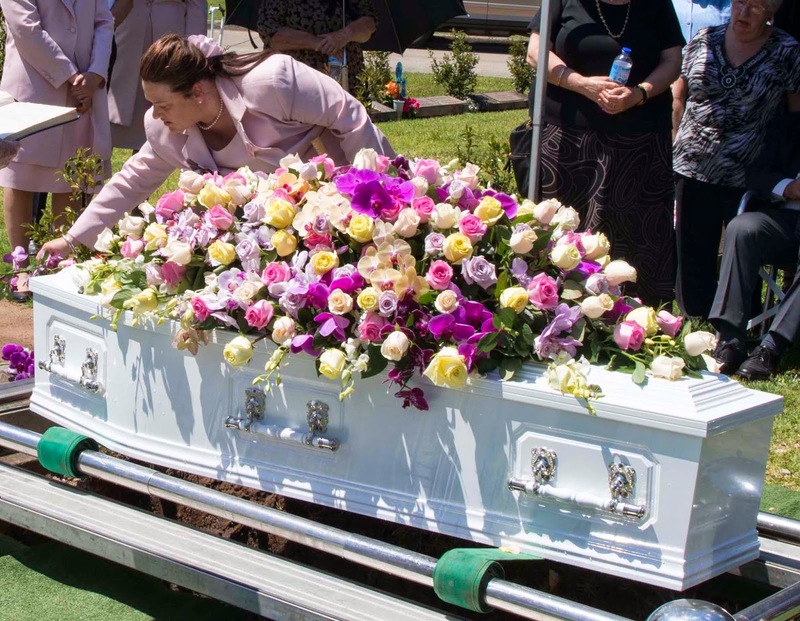 When arranging their sixteen-year-old daughter's funeral, her family wanted soft and delicate flowers reflecting their daughter's gentle and caring nature. The floral cover adorned the entire casket top in a beautiful display of pastel blooms including David Austin roses, snap dragons, cymbidium orchids, sweet pea, dendrobium orchids, and ranunculus. For her graveside funeral, wreaths in the shapes of hearts were given to family members to place at the graveside. White roses were handed out to others to toss into the grave, a nicer touch than the older tradition of throwing dirt onto the coffin. We can arrange as many flowers as you would like for this purpose in accordance with your flower and colour preferences. Some families wish to leave the casket cover to then place atop the grave. Others have funeral directors or an assigned friend pull flowers from the cover to give out to funeral attendees so they have something to place on the grave themselves. Both of these options are perfectly acceptable. One more example of how flowers can be a silent tribute in themselves are the flowers we prepared for a young man's funeral, a much-loved teenager who lived a life full of fun and laughter, making others smile every day. For his funeral, 'happy flowers' were requested and they were happy indeed. The flowers were grouped according to colour in a stunning array. 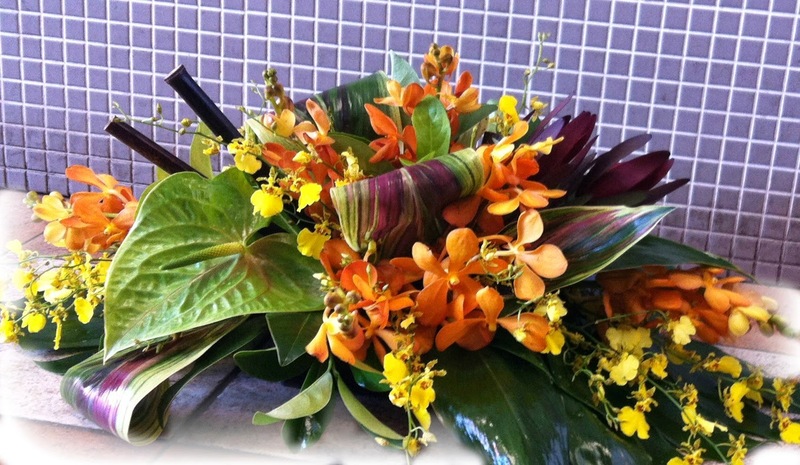 We arranged heliconias, delphinium, spider orchids, leucadendron, orange vanda orchids, roses, and black cordyline leaves. Large arrangements closely following the same theme were used to adorn the chapel for the funeral service. All three of these funeral flower choices are unique yet personally suited. They show that thoughtful flower choice has the ability to revere and honour the deceased and set the tone for the funeral services. They also show that there are no rules when it comes to funeral flower choice - flowers need not be all white, they can be whatever is wished to make the memorial services a personal tribute to the loved one being remembered. "The Colour spectrum is traditionally kept quite neutral. Whites and Greens seem to dominate the 'sympathy arena' but my personal experience has shown, that many a time, the florist chooses to listen to the individuals requests when it comes to choice of colour. Also the softer tones, all pastels for instance creme, pale or blush pinks, mauve and soft apricot are very often amongst the favourites, as they resonate with calm and gentleness and can really sooth the soul. Everyone has different opinions and ever so often do the colours pop brightly and cheerfully to reflect the personality and happy nature of the deceased. Flower arrangements for the closest loved ones can be one of the most meaningful assignments any florist could ever carry out." Which Sympathy Flowers should I choose? 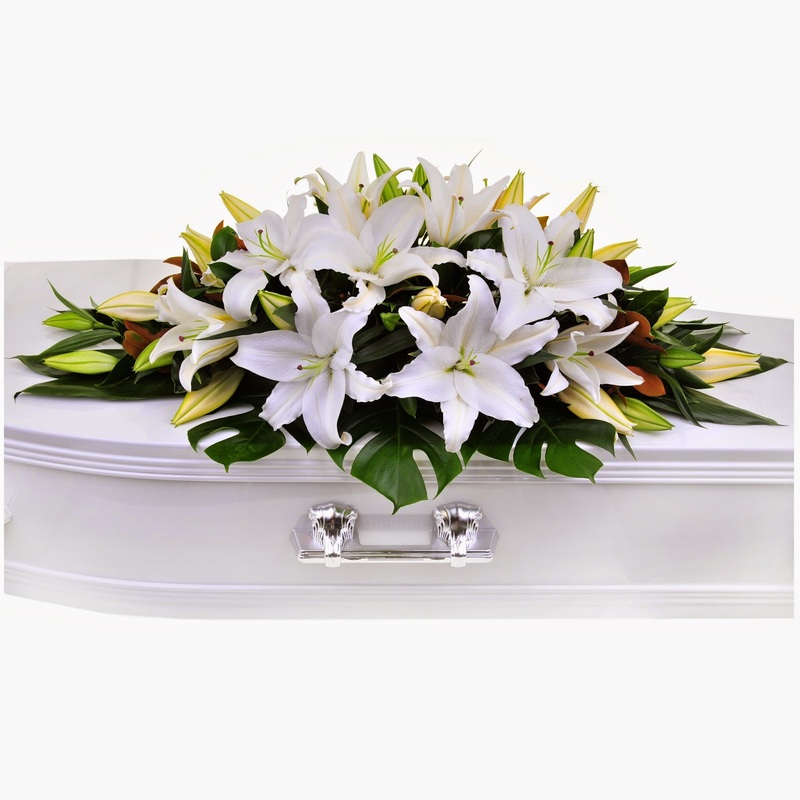 Where should I have Sympathy Flowers sent - to the home, church or funeral home? How can I help a friend (or family member) who has lost a child?